Home: Adventures Of Tip & Oh Coming to Netflix! 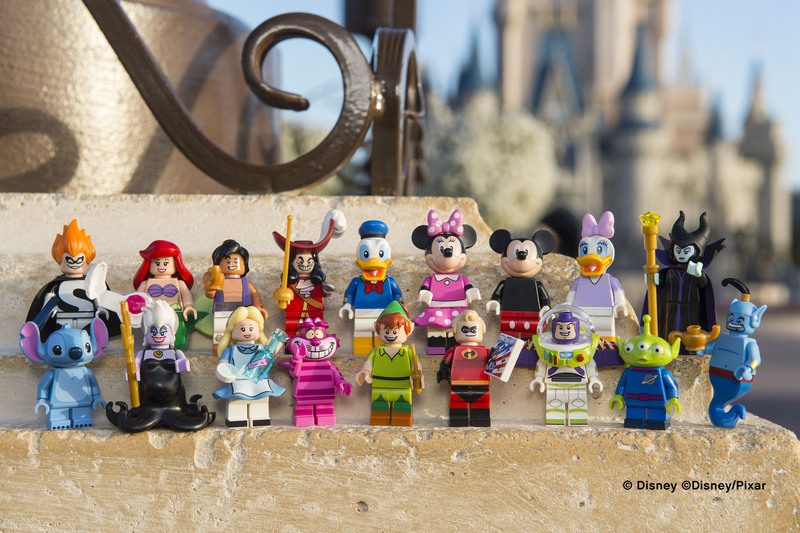 Lego announced a new line of LEGO Minifigures yesterday inspired by some of our favorite characters from © Disney & © Disney/Pixar! There will be 18 new minifigures featuring Disney classics such as Peter Pan and Alice in Wonderland and Disney•Pixar favorites like The Incredibles and Toy Story. Two Disney•Pixar characters never-before-seen in the LEGO world become minifigures – Mr. Incredible and archenemy Syndrome from Disney•Pixar’s The Incredibles. Additionally, fans can collect minifigure versions of two icons from the beloved Disney•Pixar’s Toy Story – Buzz Lightyear and the squeak-toy Alien from Pizza Planet. All of the minifigures will be available to purchase in May on shop.LEGO.com or in all major toy retailerd, with a suggested retail price of $3.99 (USD) each.